Offered in both classic (brown, cognac, black, navy) and punch (lime, olive, cherry) colors, these bags are an investment that you will wear for years and eventually hand down to you daughter. 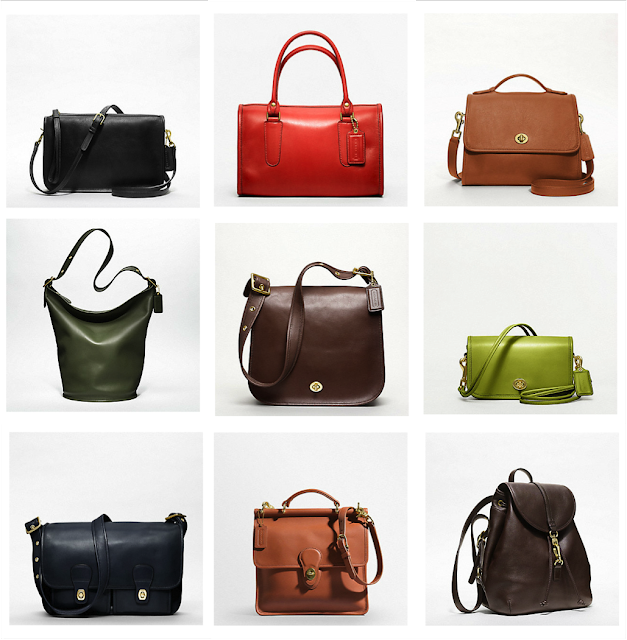 I have zeroed my sights in on the mini shoulder bag, but I need your help making the final decision. Classic cognac or fun cherry? What purse is on your wish/lust list? I love the colours of those bags! coach is just awesome!! what a classic item to own. I think you should go for cherry. I have a red bag and you'd be surprised how well it goes with many outfits. Classic Cognac baby! That is a color that will work forever! A classic bag is always a great purchase. Still have not found the "ONE" still want it to be perfect. Can't wait to see what you pick. A friend gave me her old coach satchel around 4 years ago and I have been carrying it since. Who knew it would have made a comeback?? Ohh. 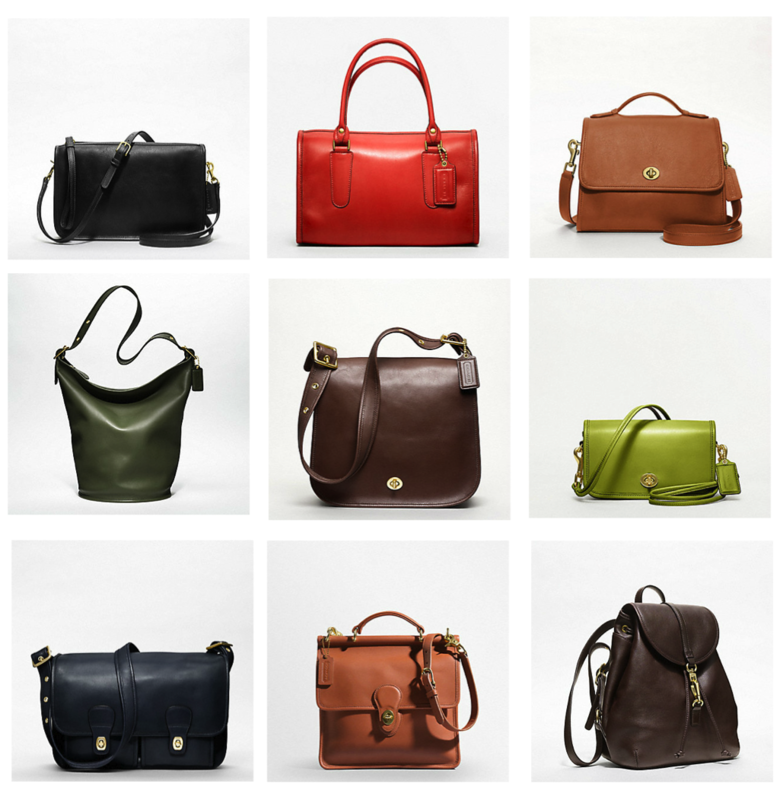 And ordering the madison satchel. Thanks for the heads up! And to think I had given up on "coach" for a couple years now. They are great bags!. I love the Willis one, in the middle of the bottom row. Oh, I just love my classic coach bags! The best place is your local thrift store... and the best advice i can offer for finding one is to simply go every week. Consignment stores are usually a little more, and failing that there is etsy. if you can find them cheap enough, why not get both colors? A Chanel will always by my #1 wish list purse but that won't be happening for a few more years! I got this great quilted blakc Kate Spade back in January when it they were having a flash sale - $190! Thats my winter purse and my white leather coach tote (college graduation present) is my summer work purse. Investing in a real leather purse always pays off -- I say go for the cognac because it goes with everything. Can't wait to see which one you decide on! Hmm, I'd probably go for the cognac because it will go with more than the cherry! Loving these Coach classic bags! Obsessed with the red satchel! Try ebay! I recently bought a Dooney crossbody bag for $20, including shipping! It was very gently worn, and I love it.